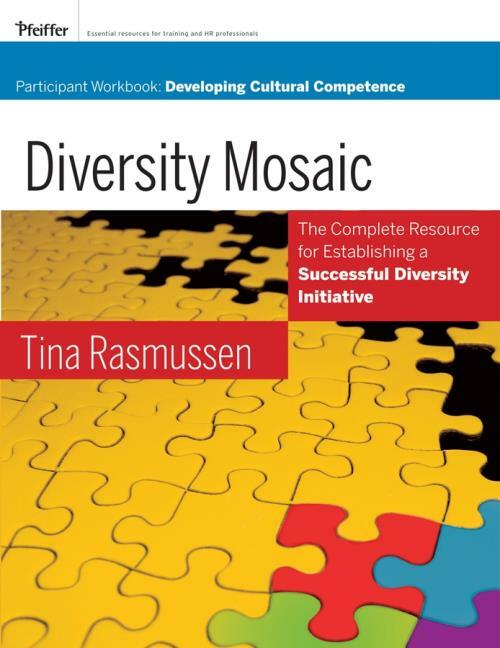 TheDiversity Mosaic Participant Workbook: Developing Cultural Competence is designed to help employees in all positions, levels, and areas of an organization develop knowledge, awareness, and skills for valuing diversity and creating a truly inclusive environment. The workbook will also help participants understand their organization’s diversity initiative and their role in supporting it. Cornerstone 1: An Inclusive Definition of Diversity. Diversity and Inclusion Action Plan. Diversity Mosaic Workshop Reaction Sheet for Developing Cultural Competence. Cultural Competence: 360–Degree Assessment Instructions for Participants. Cultural Competence: Understanding and Using Your Assessment Results. Cultural Competence: Assessment Scoring Categories. Cultural Competence: Developmental Action Plan. Cultural Competence: 360–Degree Assessment Instructions for Observers. Cultural Competence: Assessment Form for Observers.